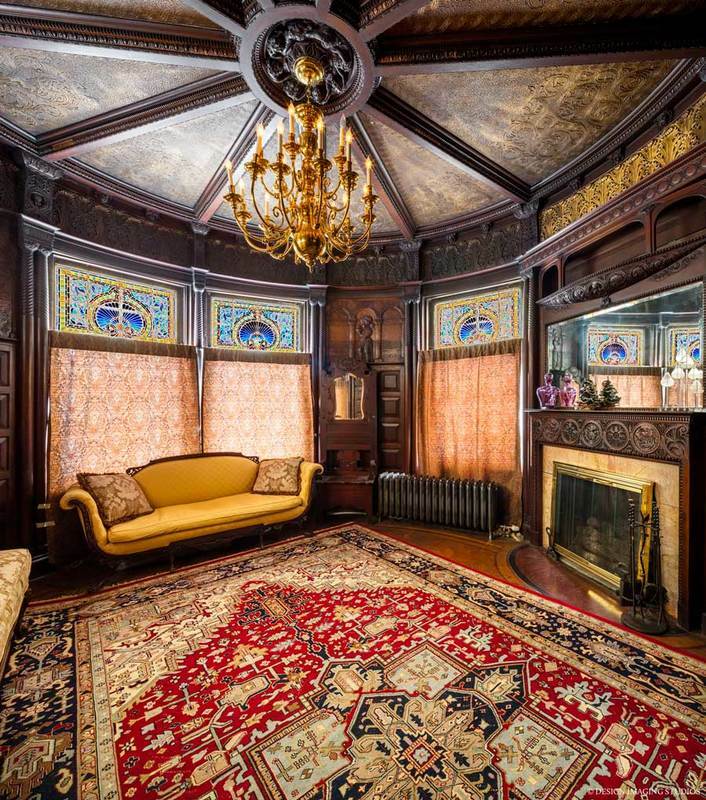 This extravagant pile was designed in two phases (1875 and 1888) by renowned Providence architects Stone, Carpenter & Willson, but tradition states that the emphatic personality of its owner determined the eclectic mix of shapes and styles. 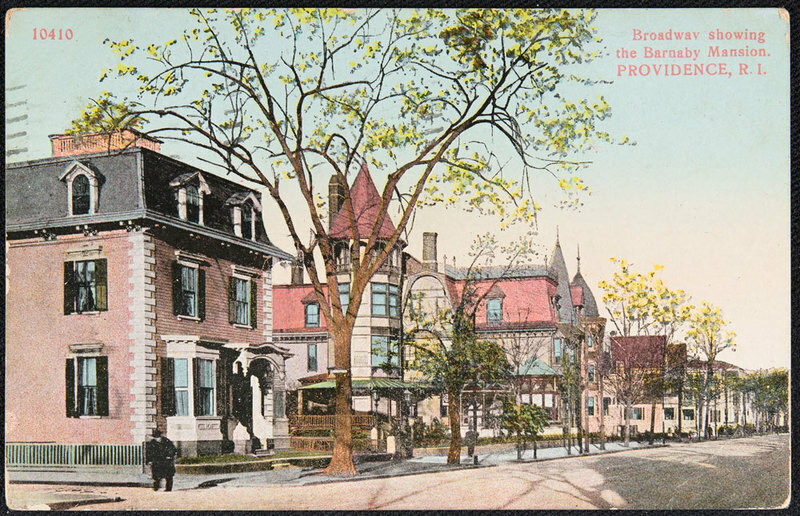 Jerothmul B. Barnaby was a king of Providence retail with a massive department store downtown. He was known to race his four-in-hand recklessly down Broadway and left a tightly entailed estate to his daughters that was contested by his wife Josephine Barnaby at his death in 1889. Josephine was thought to be easily manipulated, and indeed she fell under the spell of her physician Dr. Thomas Thatcher Graves. While on a visit to Denver in 1891, she received a gift of poisoned whiskey by mail and quickly died. Graves’ trial was a national sensation. He was convicted of America's first murder-by-mail and committed suicide in prison in 1893 while awaiting an appeal. The house today is undergoing a painstaking renovation to recapture its original splendor. Don't forget to peek down Sutton Street to see the fabulous Moorish Revival carriage house where the wedding reception for Barnaby’s daughter Mabel was held. The carriage lift, still functional, was used to lower the banquet down to the elite crowd. 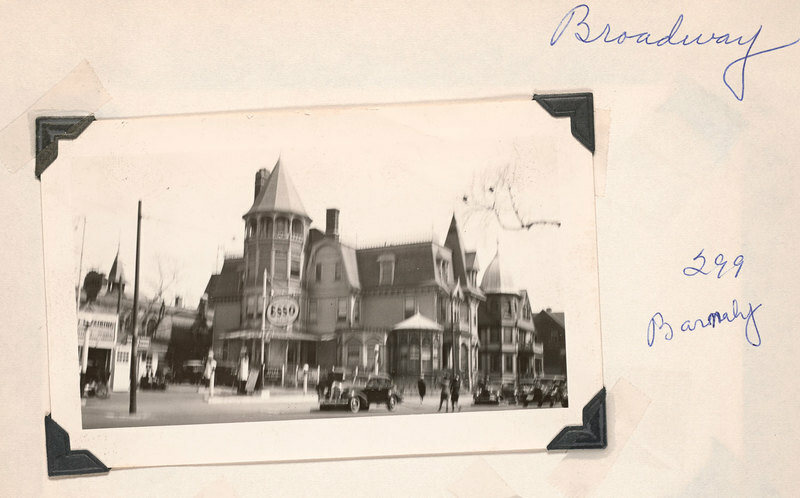 The Barnaby Mansion: This photo shows the Barnaby Mansion and gardens on Broadway around the turn of the century. ~ Source: Rhode Island Collection, Providence Public Library. Mid-Century Photo of Barnaby Castle: The Barnaby Mansion can be seen here mid-century with a gas station where the garden used to be. ~ Source: John Hutchins Cady, Rhode Island Collection, Providence Public Library. 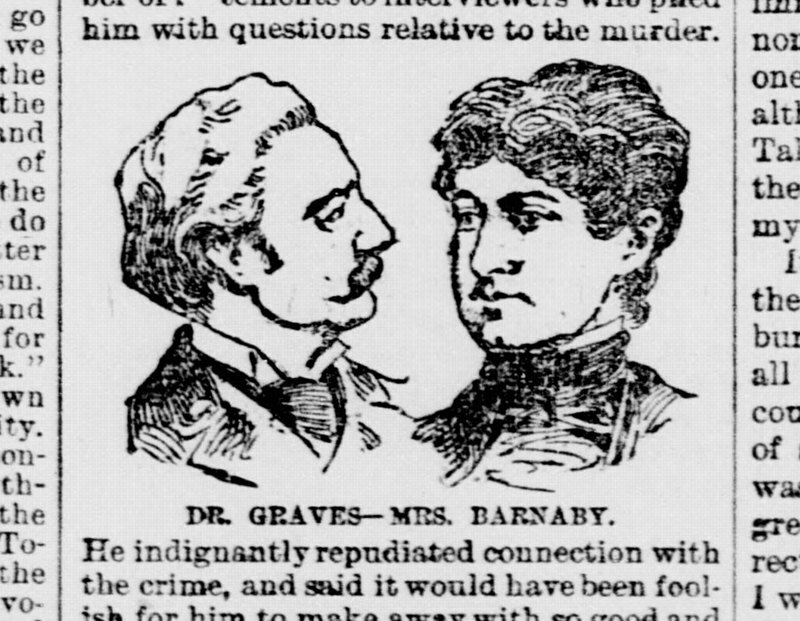 Dr. Graves and Josephine Barnaby: These pictures from a newspaper clipping show the murderous Dr. Graves and his victim Josephine Barnaby. ~ Source: Wichita Daily Eagle, May 19, 1891. Kansas State Historical Society. Interior of Barnaby Castle: The lush, eclectic interiors are being carefully restored. ~ Source: Photo by Christian Scully, Barnaby Castle. Taylor M. Polites, “Barnaby Castle,” Rhode Tour, accessed April 21, 2019, http://rhodetour.org/items/show/157.